ChainLink Research : Research :Walmart Takes Over Their Inbound Logistics: Tactical Change or Sea Change? Walmart Takes Over Their Inbound Logistics: Tactical Change or Sea Change? 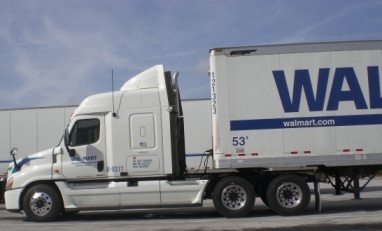 Walmart plans to increasingly take over inbound freight from their suppliers. How will this impact suppliers' cost of doing business and freight management? Will other retailers follow suit? Today about 60% of Walmart's inbound freight (closer to 80% for their grocery segment) is managed by their suppliers. Walmart intends to change that and take over responsibility for much more of their inbound freight. Suppliers and carriers are worried about the impact. Walmart's fleet of 6,500 trucks and 55,000 trailers is used primarily for their outbound logistics for regional DC to store delivery. That won't change. The inbound logistics that they take over will be handled primarily by carriers, rather than Walmart's own fleet. While carriers have expressed concerns that major network changes may occur, Walmart has publicly stated that their goal is to work with the incumbent carriers as much as possible. They already use carriers for over 2 million shipments annually and have relationships with many of the carriers that their suppliers are currently using. In typical Walmart fashion, they are driving a hard bargain with suppliers, whether via price cuts or allowances deducted from the invoice, to offset the transportation cost incurred by Walmart. Some suppliers are complaining that the price cuts that Walmart are asking for are nearly twice the current actual transportation costs paid by the suppliers. According to BusinessWeek, Kelly Abney, Walmart's VP of Corporate Transportation said "There may be a disconnect when we walk into the room on what that cost might be. But we work collaboratively. As soon as a supplier shares the data, almost always those differences are quickly resolved." Maybe so, but it would not be surprising if some suppliers experience a net loss from this conversion. According to Supply Chain Digest, some suppliers say that Walmart is considering changing their terms to Prepaid but forcing them to still use only Walmart's fleet or carriers that they select. Collect pricing changes only infrequently, perhaps once a year, leaving Walmart to absorb increased fuel prices. By changing to Prepaid, Walmart can enact a fuel surcharge program via the freight allowance, thereby recovering their full costs. 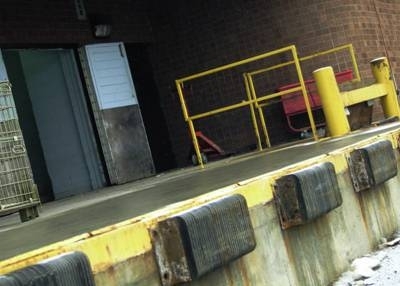 Recently Walmart tightened their MABD (Must-Arrive-By-Date) requirements - the window in which deliveries must arrive at their dock door - and increased the penalty for missing that window. With this change, Walmart's Abney said in a recent interview with Supply Chain Brain "if you as a supplier have the freight ready, are shipping it in full, and it's sitting on the dock at the appointed pickup time, you don't have to worry about a penalty." We have not heard whether Walmart will shift those penalties to carriers. For some suppliers, Walmart accounts for 30% or more of their sales volumes. Combined with moves by other retail customers to take over freight transportation, suppliers are facing a significant reduction in the outbound logistics that they manage. Those lower volumes could have a negative impact on the prices those suppliers pay for the remaining freight (due to lower volumes), as well as fewer optimization opportunities for continuous moves, multi-stop truckloads, backhaul, etc. Another factor of concern to vendors is the potential for greater distribution center costs. As noted in Supply Chain Digest, some suppliers say that their experience with existing customer pick-ups is that they are frequently late and not willing to drop trailers, requiring live loading, leading to more OS&D (over, short, and damaged) issues. It is one less thing under the suppliers' control, yet they may still suffer the consequences. Will More Retailers Follow Walmart's Lead? A larger question for the industry is to what extent other retailers will follow suit. Already there is a growing trend for retailers to manage their own inbound freight. If this increases, it could reduce even further the optimization capabilities and volume price discounts available for manufacturers and suppliers. In general, the customer (i.e. the retailer) gets to call the shots. However, a smaller retailer may have trouble telling a P&G that they (the retailer) are now going to manage all the inbound freight. Ultimately, whoever is in a position to manage the freight most effectively at the lowest cost should be the one responsible. While scale is not the only factor, it is an important one. So perhaps it is appropriate that the larger partner (supplier or retailer) manages the transportation. In any case, this proves once again that in order to succeed, suppliers must be flexible in their outbound supply chain operations and logistics to meet the individualized needs of each of their retail customers... especially when that customer is Walmart!